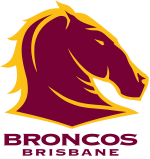 The Brisbane Broncos are an Australian professional rugby league football club based in the city of Brisbane, the capital of the state of Queensland. Founded in 1988, the Broncos play in Australasia's elite competition, the National Rugby League (NRL) premiership. They have won five premierships in the premierships and two World Club Challenges. The Broncos have also achieved four minor premierships during their twenty-two years in competition, making them the League's most successful club over the past two decades. Brisbane have never been defeated in a grand final and, between 1991 and 2009, never failed to qualify for the finals. However, in 2010, Brisbane finished 10th in the NRL premiership, failing to make the semi finals for the first time in 19 years. The Brisbane Broncos have one of the largest fan bases in Australia and has the highest average attendance of any rugby club in the world 36,336 in the 2010 NRL season. The Broncos also record the highest annual revenue of all NRL clubs and has been named Australia's most popular and most watched football team of any code. The club was founded in 1988 as part of the Winfield Cup's national expansion, becoming, along with the Gold Coast-Tweed Giants, one of Queensland's first two participants in the New South Wales Rugby League premiership. The Broncos later became a dominant force in that competition before playing a significant role in the Super League War of the mid-1990s, then continuing to compete successfully in the reunified National Rugby League competition of today. The Broncos are based in the Brisbane suburb of Red Hill where their training ground and Leagues club are located, but they play their home games at Milton's Suncorp Stadium. They are also the only publicly listed sporting club on the Australian Securities Exchange, trading as Brisbane Broncos Limited.